KUALA LUMPUR (Aug 3): The FBM KLCI is expected to pause further today in line with the weaker overnight close at most global markets. Weak U.S. economic data and disappointing auto sales numbers drove Wall Street down on Tuesday, further dragging on global equity prices after the approval of a fiscal stimulus package by Japan's cabinet failed to cheer markets, according to Reuters. Data showing muted U.S. inflation hit the U.S. dollar, which dropped to a six-week low against a basket of currencies, while persistent worries of a supply glut sent U.S. crude prices back below $40 a barrel, it said. AllianceDBS Research in its evening edition Tuesday said despite the up close in the preceding day, the FBM KLCI had on Aug 2 traded within previous day’s range to form an inside day bar after the opening bell as market participants decided not to stage an immediate follow through buying support. It said in the absence of stronger buying interest, the benchmark index was in the red throughout the trading sessions before settling at 1,660.23 (down 5.00 points or 0.30%). “In the broader market, losers outnumbered gainers with 491 stocks ending lower and 277 stocks finishing higher. That gave a market breadth of 0.56 indicating the bears were in control,” it said. AllianceDBS Research said the inside day bar indicated a breather in the game play with buyers and sellers seen in a balanced position. “Given the low volatility environment and the absence of news flow, market participants were unwilling to commit themselves in a more aggressive manner for fear of market moving against them in an opposite direction after making a buy or a sell decision. “So, buyers and sellers would continue to exchange their stock positions between 1,650 and 1,675 in the coming few days until we see a breakout. “In other words, market participants basically were still waiting for more technical confirmation to trade the market,” it said. “The analysis of overall market action on Aug 2 revealed that buying power was weaker than selling pressure. 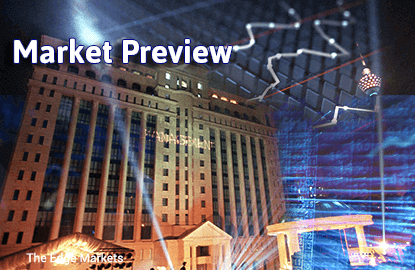 “As such, the FBM KLCI would likely trade below the 1,657.78 level on Aug 3,” said AllianceDBS Research. Based on corporate announcements and news flow yesterday, companies that may be in focus today may include: Fraser & Neave Holdings Bhd, Hartalega Holdings Bhd, MRCB-Quill REIT, KLCC Stapled Group, AirAsia X Bhd, KPJ Healthcare Bhd, O&C Resources Bhd, Tien Wah Press Holdings Bhd, Petrol One Resources Bhd and Press Metal Bhd.